Our tours more than just bus trips! Each tour is carefully planned to show you the best scenery... But it’s the features beyond that which make each tour special as we give you unique opportunities to experience first-hand Highland life and culture! 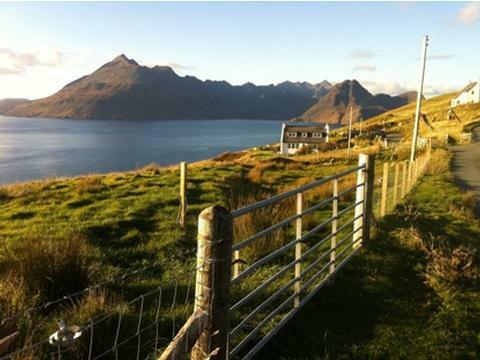 Misty Isle Tours offers more than just bus trips! Our tours are carefully planned to show you the best of Skye’s scenery, but it’s the features beyond that which make each tour special as we give you unique opportunities to experience (and sometimes even to taste!) first-hand Scottish Highland life and culture. Join us in our comfortable 16-seat Mercedes Sprinter minibus to explore the Scottish Highlands! All our tours also include complimentary hot drinks and home-baked refreshments! You can book your tour with us simply and securely online on our web site. Isle of Skye tours with ‘that little bit extra’. There is an almost endless variety of tour possibilities in the area, covering not just the Isle of Skye itself but also many other beautiful parts of the Highlands. Our private tours offer the opportunity to tailor a tour to what you want: Fancy some Monster-spotting on Loch Ness? Ever wanted to visit some of the awe-inspiring filming destinations that you’ve seen in your favourite films and TV programs? From James Bond to Braveheart and Star Wars to Harry Potter there’s plenty to choose from in the area! Or perhaps you want to do a tour of historic buildings in the Highlands? We can take you on a tour of some of the finest castles Scotland has to offer. Perhaps you are looking for something more specialist? We can draw on local expertise in many different spheres of knowledge to create your perfect tour! What about a tour of Highland golf courses? Or a whisky-tasting tour? Maybe you’re daring enough to do a tour of Scotland’s top wild-swimming destinations! (In which case the driver will stay in the coach! Because he’s not daring enough!). Perhaps you simply need transportation for up to 16 passengers to and from an event or for a special evening out somewhere in the Highlands. We can offer private hires in our comfortable 16-seat Mercedes Sprinter minibus. Availability is limited but if we can help we would be happy to send you a quote, whether it is transport for wedding parties, filming and photography locations, student groups, airport or ferry pick-ups / drop-offs or anything else. Perhaps you simply need transportation for up to 16 passengers to and from an event or for a special evening out somewhere in the Highlands. Get in touch and we’ll see if we’re able to fulfil your request, and if not there are other excellent businesses offering private hire in the area and we would be happy to recommend them to you.